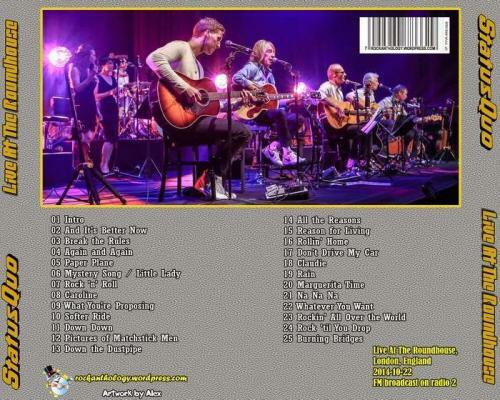 Strings: Lucy Wilkins - Violin, Howard Gott - Violin, Natalia Bonner - Violin, Alison Dods - Violin, Sophie Sirota - Viola, Sarah Wilson - Cello. 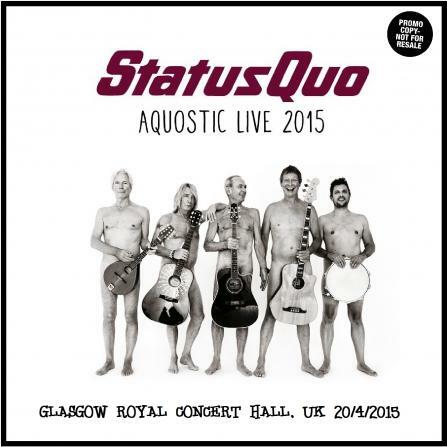 Tour Crew: Glen Smith (Tour Manager), Lyane Ngan (Band Personal Assistant), Ewan Cameron (Lightning Director), Andy May (FOH Sound Engineer), Tim Franklin (Monitor Engineer), Lloyd Gilbert (Guitar Tech), Andy Tomkins (Keyboard / Bass Tech), Lance Miles (Drum Tech), Danny Stead (Strings Engineer), Musicial Director: Mike Paxman. 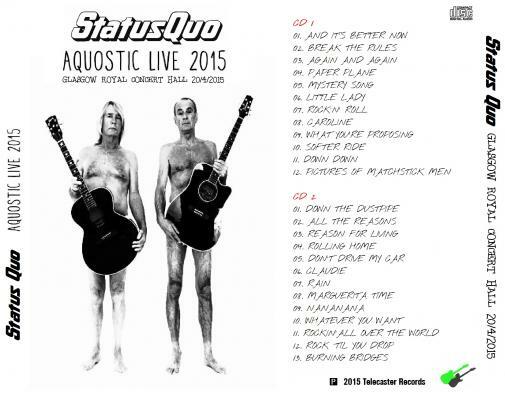 Merchandiser: Global Merchandising Services Ltd. Management: DurocMedia Ltd. 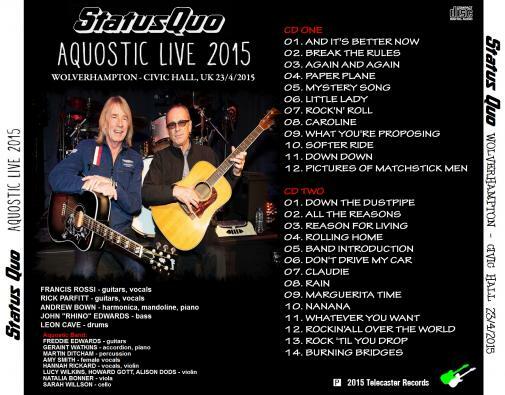 Manager: Simon Porter. 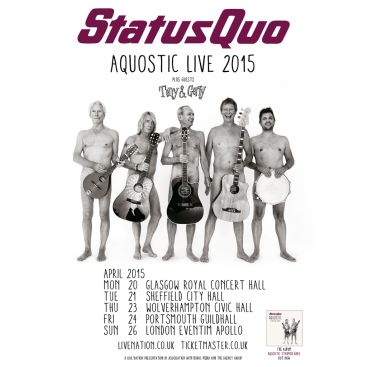 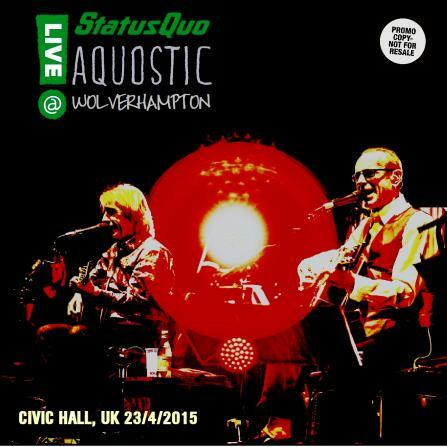 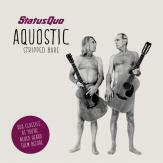 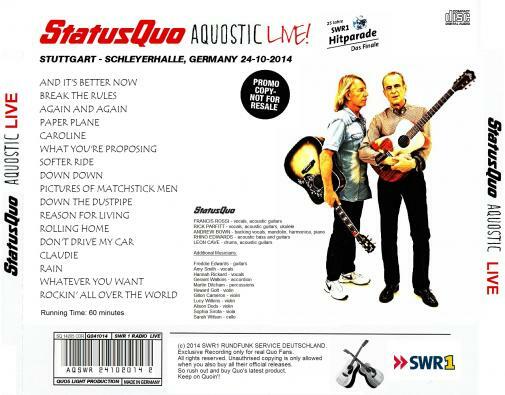 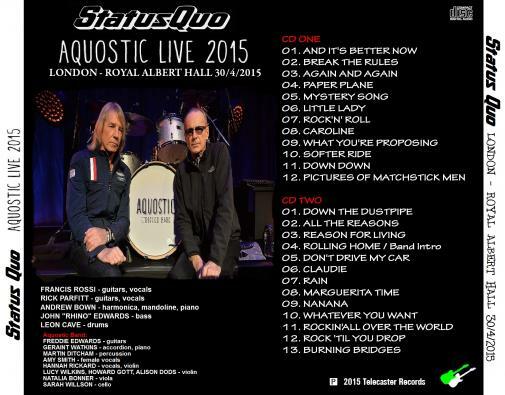 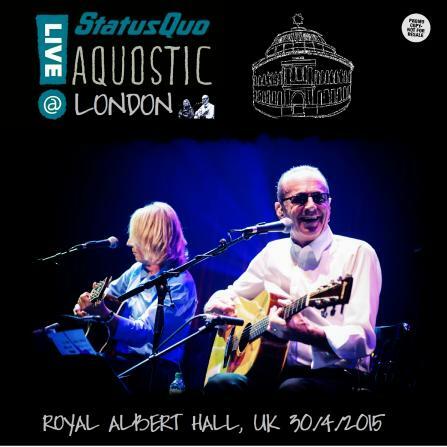 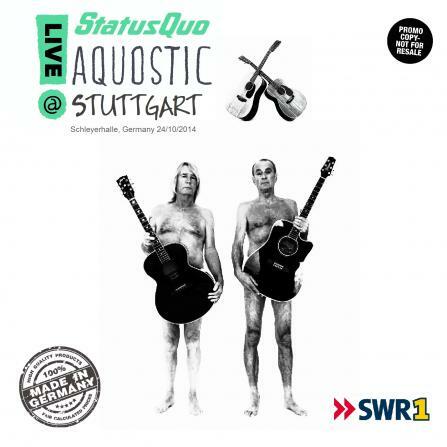 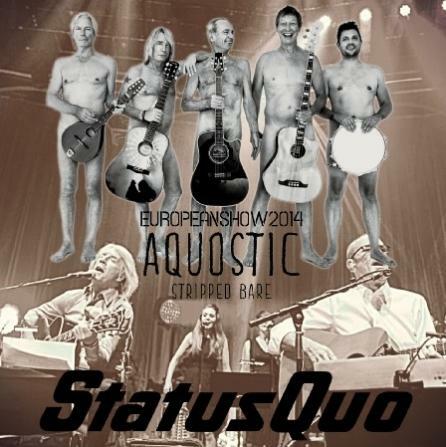 Tour Notes: Status Quo's first ever full live acoustic tour! 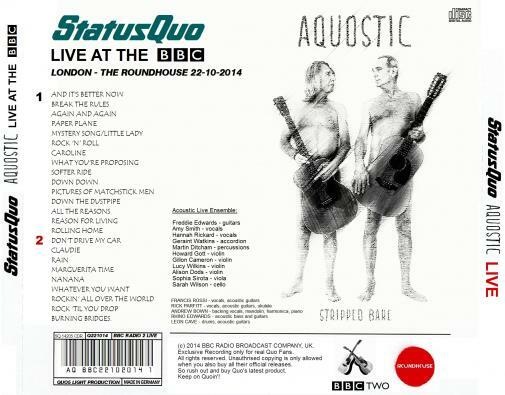 22.10.2014 - On Wednesday 22nd October BBC Radio 2 present a unique performance from one of the globe's premier rock acts. 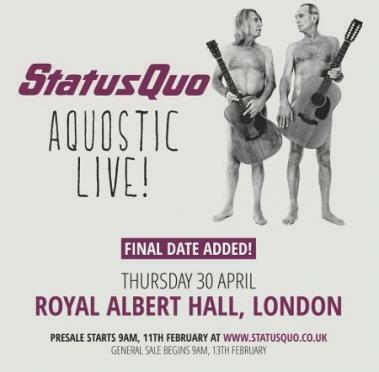 For the first time ever, legendary rockers Status Quo will put down their famous electric guitars and perform acoustically with female singers and strings .This one-off show will take place at The Roundhouse in Camden, London and will be broadcast live on Radio 2 from 8pm.